As a book that has been sitting on my TBR shelf for a long time, I only had a rather limited view of what this book was about. I saw beautiful cover, heard about a massive prison, and an impossible love between someone inside and someone outside of said prison, and I was smitten. Incarceron isn’t just a prison. It as a social experiment. All of the world’s outcasts and dissidents will be locked up. Inside, a perfect society will form. On the outside, time will be put to a stop. No scientific progress will be allowed, and society will be made to resemble as it used to be in the Victorian period. The experiment doesn’t go as planned. Inside Incarceron the prisoners face a daily hell of famine and violence, under the ever watchful eye of the Prison. The setting of Incarceron is very detailed, both inside and outside of the prison. I loved reading about the strange combination of advanced technology with a thick coat of Victorian. There are computer screens behind servants entrances, rooms that shift through dimensions and other exciting combinations. What I really liked in this book was that the romance was subtle. I can’t remember the last time in a young adult book where the romance between the two main characters wasn’t excruciatingly obvious, with instant lusting and “I love you”-s within a week. By the end of Incarceron you’re not even sure whether they will be a couple or not. The attraction between Finn and Claudia was subtle and sweet. As a part of this book is set in a prison, there are quite some gruesome bits. I thought Ms Fisher found a great balance here. Without making it seem too bleak, she managed to portray the cruelty of man when forced to survive in awful conditions. This reads mostly like an adventure novel, which is not my favourite, but it was a well done adventure novel in my humble opinion. 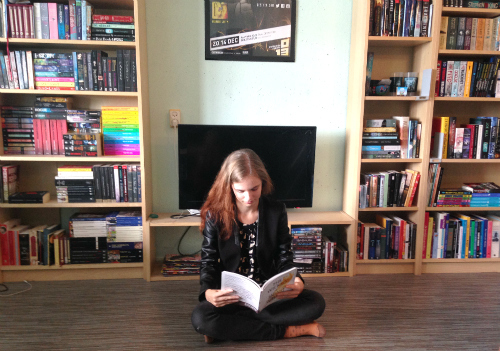 There were enough plot twists to keep me satisfied and interested throughout the book. I’m looking forward to read the second book of the series, Sapphique. 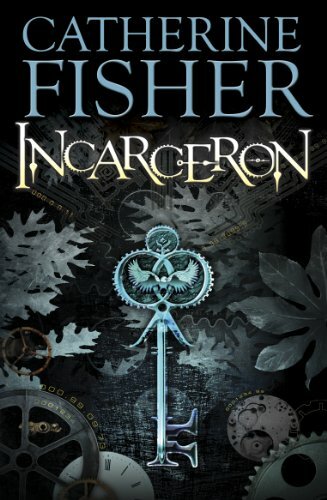 Incarceron – a futuristic prison, sealed from view, where the descendants of the original prisoners live in a dark world torn by rivalry and savagery. It is a terrifying mix of high technology — a living building which pervades the novel as an ever-watchful, ever-vengeful character, and a typical medieval torture chamber — chains, great halls, dungeons.